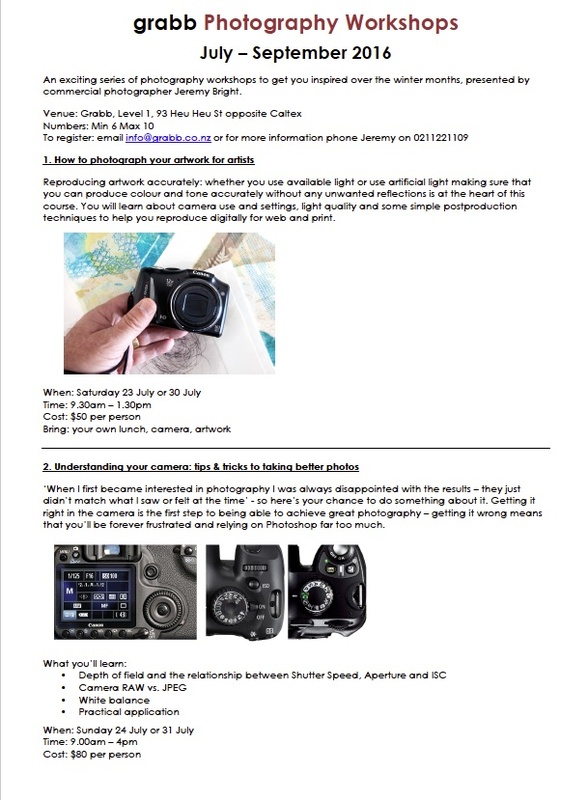 An exciting series of photography workshops to get you inspired over the winter months, presented by commercial photographer Jeremy Bright. Reproducing artwork accurately: whether you use available light or use artificial light, making sure that you can produce colour and tone accurately without any unwanted reflections is at the heart of this course. You will learn about camera use and settings, light quality and some simple postproduction techniques to help you reproduce digitally for web and print. â€˜When I first became interested in photography I was always disappointed with the results â€“ they just didnâ€™t match what I saw or felt at the timeâ€™ – so hereâ€™s your chance to do something about it. Getting it right in the camera is the first step to being able to achieve great photography â€“ getting it wrong means that youâ€™ll be forever frustrated and relying on Photoshop far too much. â€˜Thereâ€™s nothing like a beautiful landscape photograph to stir the soul. It can transport you to a magical place and awaken memoriesâ€™. So what makes a great landscape photograph? This workshop is designed to work through the building blocks of landscape photography; gear, technique, understanding light and several postproduction techniques that expand how you approach the camera work. Photoshop vs. Lightroom: which is best suited for you? Weâ€™ve all heard the words â€™Photoshopâ€ and â€˜Lightroomâ€™ but do you understand how they are related? This workshop will demonstrate the strengths and differences of both so that you can have the best of all worlds and integrate them together into a powerful workflow. Having a basic knowledge of Photoshop is essential for this course, however if you have ever wanted to know more about Lightroom, this is your opportunity.